Getting a land mortgage isn’t easy at the best of times, simply due to the lack of lenders in this area. Nonetheless, land finance does exist and there are still a number of lenders in the market. A mortgage for land may allow you to build the home of your dreams or secure a plot to develop and make a tidy profit. Land can be a great asset as it’s highly sought after and always on the decline, simply because it’s impossible to make more! Lenders often see land finance as a risky proposition, but that can all be changed with a strong application. Even if you’re unable to secure a land mortgage, a bridging loan could be a more viable short-term option. Intentions for purchasing land differ, as a result, the best possible route for finance will vary for each applicant. For a more tailored answer, you can make an enquiry with an advisor at any time. Having planning permission on a plot of land can ensure access to most lenders and may result in desirable rates on offer. This is because planning permission adds even more value to land and clearly outlines the intention of what the land is going to be used for. A plot of land that can’t be built on, such as green belt land, isn’t an attractive proposition for lenders. This is why there are so few lenders willing to even assess applications! Sure, green belt land may eventually get planning permission, however a lender could be waiting a number of years before planning permission is granted. On the other hand, a plot of land that has planning permission for the build of several dwellings is a money machine as far as lenders are concerned and can result in land finance being secured with ease. Full Planning Permission (FPP) is usually valid for five years. FPP applications must also meet the above criteria to be eligible for land mortgages. In addition, FPP applications must include detailed scale drawings of the dwelling(s) and contain information regarding any planning issues. Having FPP on your plot of land makes your proposition a lot more viable for lenders and is usually the difference in being approved or declined. FPP also increases the value of the land, which can result in an increase of finance available if approved. Lenders will arrange for a surveyor to assess the land, regardless of planning permission. This is to ensure lenders are fully aware of the type of land and its potential. Lenders will also be made aware of any risks involved with the plot of land. When applying for land finance, lenders will also request to see a detailed financial plan. A financial plan should contain a projection of costs with details on the build type, construction method, materials and labour cost. Having a time-frame for your project is also ideal. Lenders request these details, as they may not lend on a certain material, for instance, they may only lend on traditional brick-built properties and nothing else. 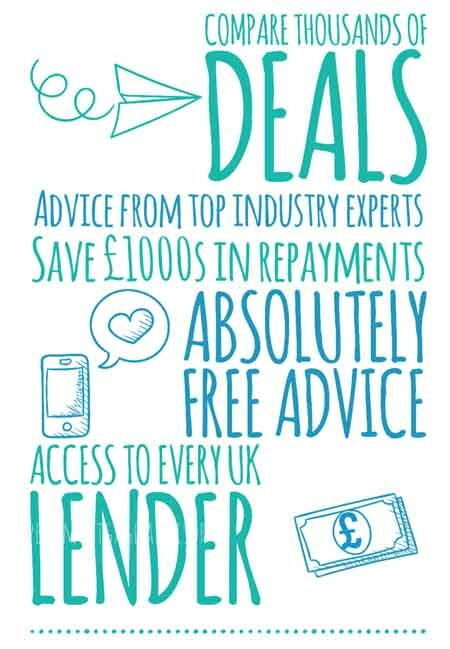 The clearer you are with your intentions, the better lenders will understand your application and give them confidence. Often enough, we speak to applicants who have been declined, simply because their application lacked depth and clarity. Depending on the scale and type of your project, lenders usually release funds in multiple stages. They may lend at the very first stage on the purchase of the plot and then lend further towards the actual build and continue to finance the build through to completion. In this case, lenders would instruct surveyors out to assess each stage before lending further. Lenders release funds in stages to protect their capital. Inspections can protect lenders from further loss, in the event that a project doesn’t go to plan. If you require land finance at different stages of your project, then this will entail additional costs, simply due to the extra time and administration involved with inspecting the build. Surveyors will also inform lenders of the values involved at each stage of the process. This is so that lenders have a clear financial viewpoint of how much they should be lending. 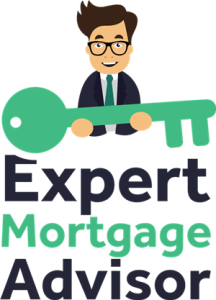 Once the build is complete, the lender may then offer a permanent mortgage or give you the option to remortgage and repay them the outstanding loan. How much deposit is required for a land mortgage? Land mortgages usually start at 20% of the land’s value. There are lenders that may approve land mortgages with smaller deposits, it all depends on the applicant, the plot of land and the plan behind it. The lowest rates for land mortgages usually start at 3% but on average are offered between 4-4.5% but will be higher if lender rates are offered monthly. Rates will depend on the plot of land and its intended use. Lenders will also assess the experience of the applicant, in addition to their credit score and affordability. The entire assessment will then conclude the rates on offer. Land mortgages are usually a lot shorter than conventional mortgages and typically don’t surpass five years. Application fees: This is paid to either a broker and/or lender to cover the cost of your application. Valuation fees: A valuation fee is paid to the lender so that the land can be valued by a qualified surveyor. Without valuing the land in its raw form, a lender can’t offer a mortgage. Valuation fees may increase, where funds are released in stages and surveyors are instructed several times throughout the development. Legal fees: You will need to pay a solicitor for the conveyance of the land. Lenders may insist that you cover the cost of their solicitor also. A lender’s solicitor will be instructed to place a charge on the land or existing property and register this with the land registry. The initial rate whilst the build is ongoing can be high. Once the build is complete, it’s advised to remortgage the property. At the stage of completing the build, you should have access to mortgages across the open-market. Rates for remortgaging are subject to the borrower’s individual circumstances and the criteria of the property. When on the quest to securing land finance, the aid of a broker is worth their weight in gold. As we explained earlier on in this article, many applicants apply with plans that simply aren’t strong enough for lenders to even consider. An experienced commercial broker can ensure that your application has depth and can also target the right lenders based on your proposal. You can make an enquiry below to start or simply ask our specialists a question.